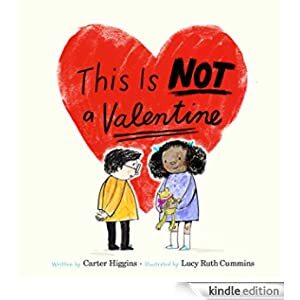 This book is not a valentine. It doesn’t have lacey edges or sugary hearts. But it is full of lucky rocks, secret hiding spots, and gumball machine treasures. This is a book about waiting in line and wishing for cinnamon buns. About recognizing that if you care so much about someone not thinking you care, maybe you really do. But wait—isn’t that exactly what love is about? Maybe this book is sort of a valentine after all. This Kindle Fire book is for readers in grades 1-3 and is selling for only $1.99 today.